Apple stores are now selling a “self-flying” drone, the Skydio R1. The startup behind the quadcopter was founded by former MIT students, and it’s backed by some of technology’s elite investors. 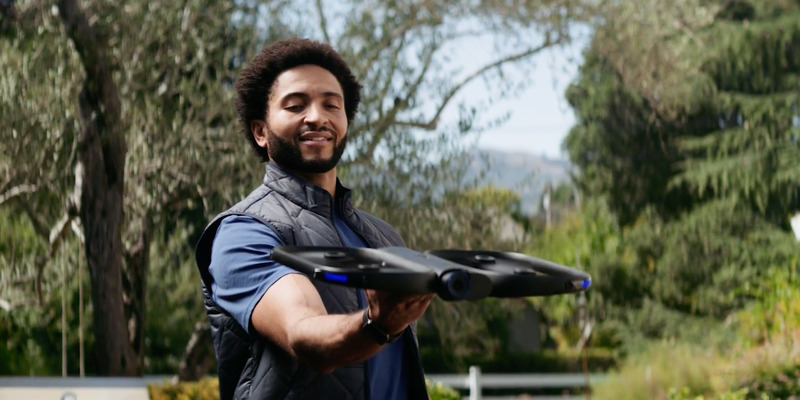 Most people don’t think of Apple stores as a good place to buy a drone, but on Wednesday, it started to sell one of the most interesting quadcopters for consumers. At select locations, Apple will now sell a high-end drone called the Skydio R1, which costs $US1,999, and is designed by a company founded by former MIT students and Google employees. The difference between the Skydio and similar drones is that the Skydio basically flies itself. DJI’s quadcopters and other competitive drones still are based around manual control and require the drone’s pilot to control where the drone flies. Skydio CEO Adam Bry told Business Insider that he believes that the R1 is the most advanced self-piloting vehicle consumers can currently buy, comparing it not just to other drones, but other robots and cars as well. The Skydio, in contrast, is more like a robot, or an autonomous camera – it uses a series of sensors and machine learning models to dodge trees, follow you or other subjects, and capture video or photos without a lot of manual fiddling. 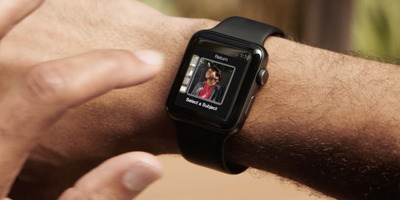 And now, the drone can be controlled by an Apple Watch, which is one reason that Apple stores now carry it. Although you won’t be able see a live preview of what the R1 is filming on the Apple Watch’s tiny screen, you can control flight modes, have the R1 follow you, and even pick individual people for the drone to follow and film. Skydio R1 is really good at keeping up with you even around sharp turns while avoiding obstacles like trees, and quickly changing flight modes from the watch without using the phone can be really convenient. The simplest example is just switching between modes of how Skydio R1 flies around you: in front, behind, or beside you – and how close to you it flies. One of Skydio’s main promises is that it allows users to spend less time piloting a drone, but it still can capture the kind of overhead and zoom-out shots that pop on social media. It’s kind of a “it just works” drone, which makes it a good fit for the carefully curated Apple stores. 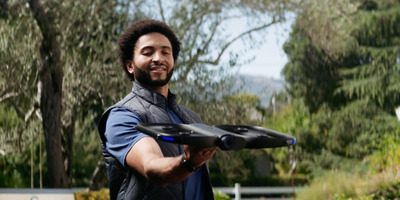 Skydio is backed with $US70 million from elite startup investors including Andreessen Horowitz and Accel Ventures, according to PitchBook data.